Most of HFP’s readers will be quite familiar with Éva Balogh’s Hungarian Spectrum, an excellent blog with daily updates, providing in-depth exploration and informed opinion of political, social and cultural issues in Hungary. Professor Balogh, who is also a founder of the Canadian Hungarian Democratic Charter, very rarely misses writing her daily post (pretty much only when her electricity goes out due to a winter storm), in which she uses a range of Hungarian, English and German-language sources in piecing together complicated and obscure narratives that increasingly seem to define politics (and corruption) in Hungary. 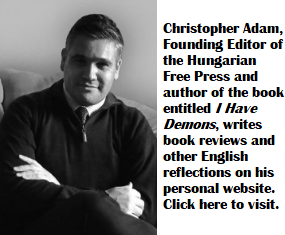 The Budapest Beacon, an online news site established in 2013 and published in Pennsyilvania by Richard Field, interviewed Professor Balogh in Hungarian, with English subtitles. The interview itself was conducted by Benjamin Novak. Mr. Field has been a prominent real estate developer in Hungary , investing some 20 million euros in the country over the years. In 2011, however, Mr. Field left Hungary, due to the rise of far-right hate groups, especially after he evacuated 276 Roma women and children from the Jobbik-dominated town of Gyöngyöspata. Interjú Balogh Évával, a “Hungarian Spectrum” irójával from Budapest Beacon on Vimeo. The second interview that we are recommending was also conducted by Mr. Novak and this time with Princeton Professeor Kim Lane Scheppele, who has been one of the most outspoken voices in the West when it comes to Hungary’s move away from liberal, constitutional democracy and the elimination of the checks and balances since Prime Minister Viktor Orbán took over in 2010. Princeton’s Kim Lane Scheppele on democracy, constitutionalism, and the rule of law in Hungary from Budapest Beacon on Vimeo. These two remarkable scholars, brilliant and indefatigable, have (along with Rui Tavares, MEP for Portugal) already earned their permanent historic places in Hungarian and international history. Once the Orban Octopus has been ousted, they will rightly share the causal credit, alongside the democratic forces within Hungary itself. Bravi Éva & Kim (& Rui)!